Brave Combat Federation has confirmed plans to host events in eight countries in the coming months this year. The upcoming events will take place in Morocco, Colombia, the UAE, Pakistan, Bahrain, South Africa, Saudi Arabia and India.The announcement was made during the Brave Global Expansion 2018 Conference held yesterday at Sofitel Hotel. It marks the first time that Morocco, Colombia, Pakistan and Saudi Arabia will be hosting a mixed martial arts event. The Saudi and South Africa events are planned in December where global athletes will be competing. Currently, the promotion is home to a number of fighters from South Africa including Chad Hanekom, Frans Mlambo, and Jeremy Smith, among others. The promotion also announced that there will be aggressive expansion plans in the athlete relations and the broadcast department this year. Currently, more than 250 athletes have signed or represented 43 countries in the fastest growing global mixed martial organisation based in Bahrain. Brave Combat Federation is an initiative under the leadership of Supreme Council for Youth and Sports first deputy president, West Asian Athletics Association president and Brave Combat Federation founder Shaikh Khalid bin Hamad Al Khalifa. The announcement marks the largest initiative from the global mixed martial arts organisation which is set to host the largest IMMAF World Championship this year featuring participation from 103 countries. 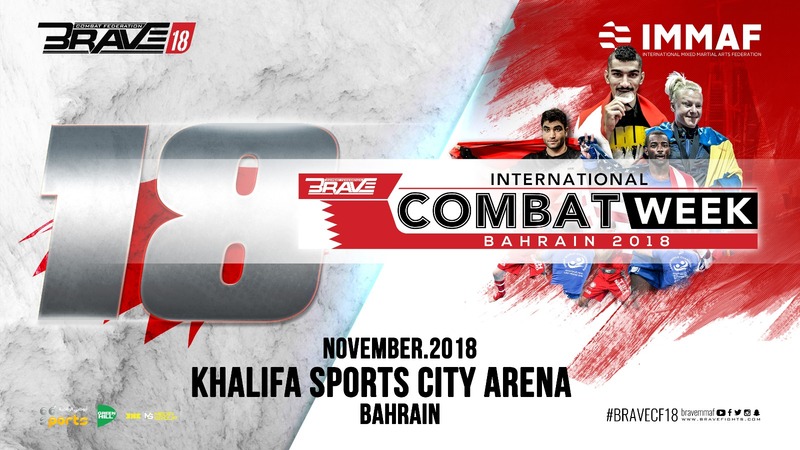 The 2018 IMMAF World Championship marks the second time the event is hosted in Bahrain. Bahrain is the only country other than the US to host the world championships for amateur mixed martial arts. Meanwhile, Brave Combat Federation signed partnership with sports merchandising giant Green Hill Sports for upcoming events. Brave Combat Federation president Mohammed Shahid announced the partnership alongside Abid who represented the UK-based combat sports brand. Green Hill Sports is among the oldest combat sports brands established in 1964 and is a premier supplier of elite sporting equipment. 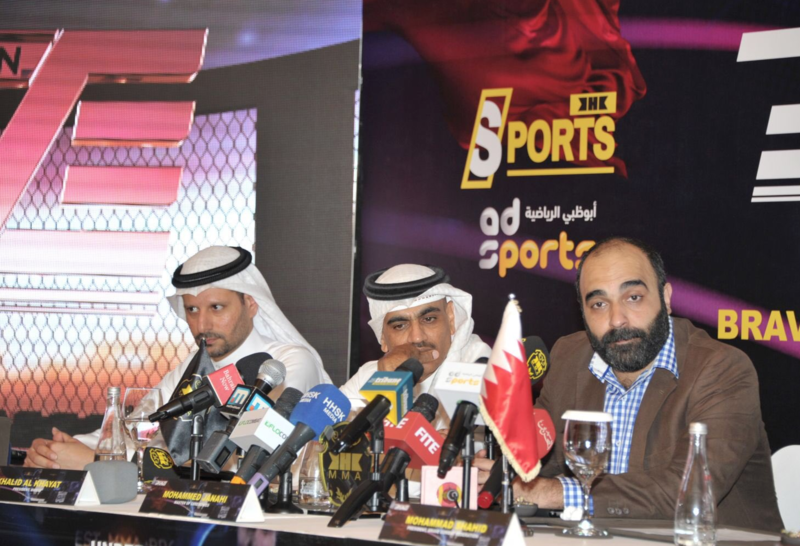 The combat sports equipment manufacturer will be supporting the upcoming editions of the Bahraini mixed martial arts organisation with fight gear and support for the event. Greenhill is the official supplier to the Olympic Games in London, Beijing and Athens alongside being the master supplier to the International Judo Federation, and has received product approval by the International Boxing Association (AIBA), the World Karate Federation and the World Taekwondo Federation. International Mixed Martial Arts Federation has partnered with Greenhill as the official merchandise partners for the world championships. 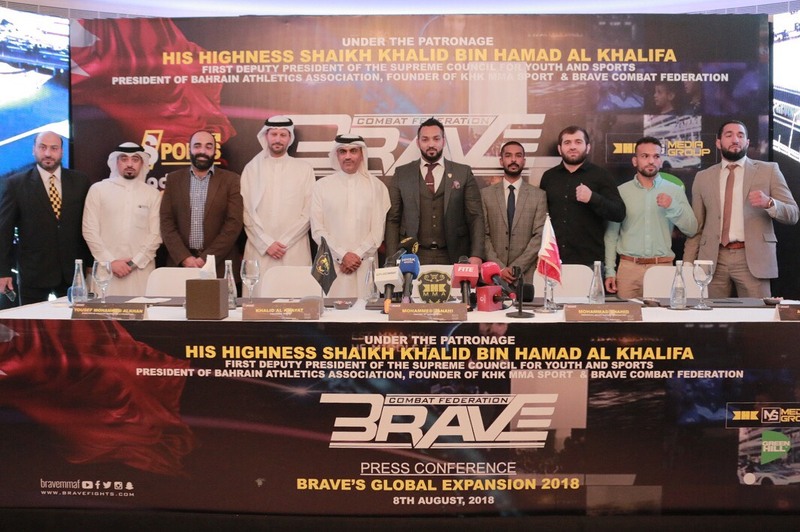 This was a jam-packed press conference by Brave Combat Federation, and aside from the announcements, there was a general sense of optimism and eagerness to progress the company into the future. Brave seems to be aiming to capture a worldwide fan base, and are very cleverly not positioning themselves as an alternative to the UFC, but rather as a different type of promotion. A promotion that primarily aims to promote MMA to the youth of the world, and to the hungriest, rising fighters. Overall, Brave CF has huge plans for the future, and this press conference seems to be just the beginning.